Every person has a physical body that is made up of carefully acquired, absorbed and incorporated elements and molecules that are ultimately derived from the crust of the Earth or the atmosphere that enshrouds the Earth. The interstitial fluid "sea" that encompasses the individual cells of your body reflects that of the Oceans of the Earth. The acquisition of compounds from the surrounding environment into the inner "sea" seems to be the basis of remaining alive. The means of actively discovering these compounds seems to be the role of a relatively primitive type of activity known as feeding behavior. Any type of behavior means a directed choice of action, no matter on what the scale of the organic entity involved. What is the means that your body uses to recognize and incorporate matter into the physical structure of the body? This is a rather complicated interaction of the various organ systems of the body. Information about the environment is required in order to eventually make a directed choice of action. The means by which the human primate animal gathers information about the environment is by use of the 5 senses and the use of what is called "intuition". Once the food has been located, it is necessary to eat, digest, assimilate and ignore components of that food. This is the normal digestive process. Do you know the difference between what your body needs and what your ego wants in regard to food choices? You really are what you eat! Thus, it may be said that there are at least 2 aspects to food choices, what is needed to keep body and soul together and what is desired for ego choices. The point to all of this is that there are very conscious aspects to feeding behavior and also very unconscious aspects to feeding behavior. This work addresses the difference between these 2 aspects. On the conscious level, in humans, information and concepts (http://en.wikipedia.org/wiki/Concept) are passed on via language. A concept is a general notion or idea concerning a particular subject. It is an idea of something that is formed by mentally combining all its characteristics or particulars - a construct. It is also a directly conceived or intuited object of thought. Language is the use of vocal sound to convey concepts. Written language is an abstract extension of vocalization, a type of code (ordered sequence of symbols) if you will. One definition of information is an ordered sequence of symbols. Usually, a concept has a component of information. Information as a concept itself, however, has many meanings. Moreover, the concept of information is closely related to notions of constraint, communication, control, data, form, instruction, knowledge, meaning, mental stimulus, pattern, perception, and representation. Conceptualization is a characteristic of the human consciousness (http://en.wikipedia.org/wiki/Electromagnetic_theories_of_consciousness). Consciousness has a fractal dimension to it that extends from the individual cell and cellular architecture to the entire physical body and the human body-field (HBF). We live in a fractal (http://en.wikipedia.org/wiki/Fractal) and scalar (http://en.wiktionary.org/wiki/scalar) universe. In order to form a concept one needs several processes to occur and then come together in a manner that allows for the expression of a representational picture, so to say, of cause and effect. Aspects of observation, perception, awareness, pattern recognition and ego involvement are involved in the formation of a concept. A concept is thus very much like an unformalized hypothesis. The scientific method as a process was developed to remove ego involvement and bias from the testing of hypotheses as a formal statement of a concept. Those people in the past that have given thought to the workings of the universe developed their own individual concepts according to the socialization received as children, much like all people do today. The codification of concepts for the purpose of passing knowledge and understanding to succeeding generations has been a relatively recent phenomenon. Previously, all conceptualization was passed down orally. Thus the likelihood of personal bias to enter the conceptualization process during transmission. This is the reason that the scientific method was developed. The use of the scientific method reduces the possibility of bias. Notice that I stated "reduced" and not eliminated. The scientific method is a tool, and thus subject to misuse like any other tool. Our progenitors were keen observers by necessity! Being in tune (resonance) with one's living environment ensures survival. All learning is done through the transmission of experience, the collection and use of empirical (http://en.wikipedia.org/wiki/Empirical) data and all forms of shared experience as socialization. Scientists are people that have had special training in the use of the scientific method to conduct research. There are "good" scientists, there are "mediocre" scientists and there are "bad" scientists. There are even "evil" scientists. Scientists are people, subject to the foibles of gross egotism like anyone else! Before the use of the scientific method in the middle-ages (http://en.wikipedia.org/wiki/Middle_Ages), the development of modern bodies of scientific knowledge (http://en.wikipedia.org/wiki/Science) and the role of governments and corporations in the funding of modern research (http://blog.ted.com/2009/01/05/the_science_of_1/), most research was done by already wealthy persons. There are more scientists living today than all the past scientists put together. This is why the pace of scientific endeavor has accelerated in modern times. Please remember that past workers in forming concepts about our universe were very few, lacked adequate libraries and lived relatively short lives. The skills entailed in research were just as evident then as they are today. These persons were also subject to the political issues of the times, as evidenced by the persecution of Galileo by the tyrants of the roman catholic church, to support their dogma. This type of persecution still exists today in the form of the control of hiring in the centers of higher learning and the dispensing of research funding by the various establishment institutions. To be an ignorant person means to lack knowledge concerning a particular subject, perhaps by not paying enough attention to it (ignoring it). To be stupid means that one is not at all capable of learning, for whatever reason. A true scientist may be ignorant but hopefully not stupid. However, today many scientists seem to be truly stupid and not just ignorant! This fact is mainly due to the political considerations of our society and the negative aspects of peer pressure. The physical body of a person has a form that is determined by hereditary units called genes (http://en.wikipedia.org/wiki/Genetics). Genes are made up of units of DNA that reside in larger units called chromosomes. Chromosomes are housed within the nucleus of every individual cell of the body. Each cell of the body seems to have a specific role within the greater whole. Groups of cells form a tissue. Tissues seem to have cycles of activity that reflect the activity of the individual cells that make up the tissue. These cycles of cell activity are tied to cycles of regulatory RNA activity that leads to different sets of DNA transcription. Sets of DNA transcription lead to enzyme system formation. The formation of different enzyme systems through time subsequently accounts for the differences in cellular activity through time. These activities are cyclic in nature and reflect the broader aspects of the environment at large. 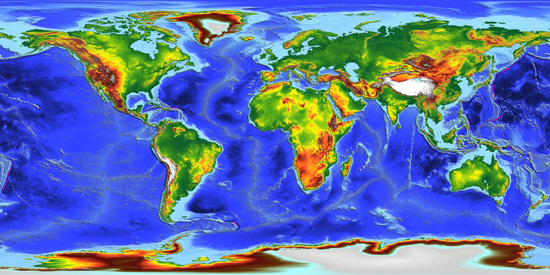 Life and survivability are tied to being able to respond to the rhythmic fluctuations in environmental conditions. Gene regulation (http://en.wikipedia.org/wiki/Regulation_of_gene_expression) seems to be divided into 2 distinct general groupings. The first is the classical 1 gene-1 enzyme group that was expanded to include genes that code for structure (cellular architecture and gross physical anatomy) and metabolism (http://en.wikipedia.org/wiki/Regulation_of_gene_expression). The second grouping is that for genes that code for DNA regulating RNA molecules (http://ai.stanford.edu/~serafim/CS374_2006/papers/Mattick_NRG2004.pdf and http://www.scientistlive.com/European-Science-News/Genetics/Revising_RNA_regulation_targets/20711/). This fact leads to an interesting polarity in regard to gravitometric/magnetic influences and electromagnetic influences. More on this topic later in the discussion below. 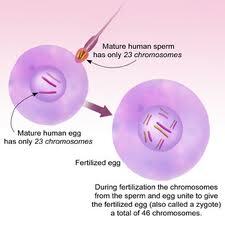 The formation of the body occurs from the development of the original egg and sperm uniting to form a zygote. The development of the fetus from one individual cell is a very carefully orchestrated series of events that occurs in roughly 270 days. 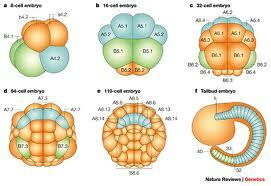 The study of developmental biology is a very interesting source of information concerning these very carefully orchestrated events (http://en.wikipedia.org/wiki/Developmental_biology). The developing extra-cellular matrix produced by connective tissue cells compartmentalizes the body into which the various organ systems develop. The vascular and nervous systems link all of these systems together physically with various blood and lymph vessels and nerve axons. The vascular system conducts nutrients into the various tissues and then conducts wastes out of those tissues. The vascular system is also the means for immune elements to traverse the body. The nervous system coordinates all information reception, information processing and initiates all muscular activity directly. Indirectly via the immune system and with the help of the neuro-endocrine system, the nervous system coordinates bodily activity via biochemical agents called cytokines ( http://en.wikipedia.org/wiki/Cytokine ) and hormones ( http://en.wikipedia.org/wiki/Hormone ). In all cases, it is the nervous system that is of paramount importance. The nervous system works by means of cations & anions of elements and molecules at the biochemical level and by coherent resonance at the HBF level, due to the nature of fractal and scalar phenomena. 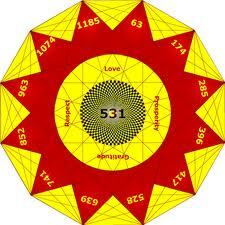 In the information presented above was a bit about the 5 senses and intuition. The 5 senses are touch (mechanical pressure), hearing (mechanical vibration), sight (visible light reception), smell (microwave reception) and taste (microwave, pH, ion and nutrient reception). These are the means for reception of most external environmental stimuli necessary for survival in the jungle of life. However, the neuro-endocrine components of the nervous system also receive external stimuli (pineal gland, hypothalamus & limbic structures). The stimuli that these components are sensitive to are various wavelengths of electromagnetic radiation (both the electric and magnetic components) and gravitometric & magnetic wave radiations. In fact, the entire physical body is an extension of these nervous nuclei via the superconducting nature of the extracellular matrix (http://diamondhead.net/edfbem.htm). Remember that the nervous system travels to and from all parts of the body via the compartments initiated and produced by connective tissue secretions, that results in the formation of the extracellular matrix compartmentalization, during fetal development. This means that the entire HBF is a system for radiating and receiving information by the entire physical body as a whole, apart from the sensory (5 senses) components of the nervous system and voluntary vocalizations or other muscular means of signaling as an extension of the nervous system. The research of Dr. Seymour has led him to hypothesize that the dynamic Solar System magnetic field influences the local geomagnetic field. The nervous system of the developing fetus is in tune and resonates with the dynamic fluctuations in the local geomagnetic field that is orchestrated by the dynamic fluctuations of the Solar System. The fetus uses the cues afforded by the dynamic fluctuations of the Solar System magnetic field to entrain itself to and then to determine the appropriate time to start the onset of the birthing process according to again resonating with the same set of fluctuations. What of intuition? Is this just an unconscious awareness residing within the right-brain neural network? The overt consciousness in right-handed individuals resides in the left-brain neural network. What of "gut" feelings? The movement of thought now progresses to a discussion of the 2 brains, each dealing with the external environment in a characteristically unique manner. Your body is essentially constructed as a tube within a tube, held in shape by a rigid framework. The interface on the external tubal surface of your body uses the central nervous system (CNS) (http://en.wikipedia.org/wiki/Central_nervous_system) to deal with the outer external environment. The interface on the internal tubal surface of your body uses the enteric nervous system (ENS) (http://www.scholarpedia.org/article/Enteric_nervous_system, http://www.anaesthetist.com/anaes/patient/ans/Findex.htm#ens.htm, http://www.vivo.colostate.edu/hbooks/pathphys/digestion/basics/gi_nervous.html) to deal with the inner external environment. 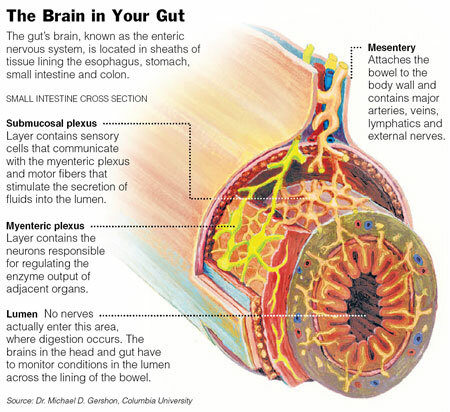 In addition, this includes dealing with the intestinal flora (http://www.psyking.net/id36.htm) residing within the alimentary tract that is in fact actually outside of your body. Each system communicates with the other directly via the Vagus nerve of some 2000 nerves total (coming and going). Each functions quite well independently if the Vagus nerve is severed. Indirectly (via the vascular system) each nervous system communicates with the rest of the body using various cytokines and hormones. The same types of neural cell surface receptors for neurotransmitters, cytokines and hormones are present in both of these systems. The ENS controls the process of digestion and the assimilation of nutrients (http://www.cnsweb.org/digestvertebrates/WWWEdStevensCDNeuroendocrine.html). How does your NES know what matter to assimilate and what to pass on? Are individuals different in their requirements in the matter that is absorbed? What are the determiners of the quality and quantity of matter absorbed? These 3 questions are at the heart of this article concerning coherence and resonance in the affairs of mankind. The idea or concept to be promulgated is that the HBF and all the components of the physical body coherently resonate with encountered matter and incorporate any such needed deficits of matter within the physical matrix of the body. Thus, the physical body is constantly changing in order to respond to and survive in the local environment within which the physical body resides. Before the modern times, in general, most people rarely traveled more than 20 to 50 miles from their birthplace. This means that the matter incorporated into their body originated within their living environment. The presently known major neuro-endocrine cell loci are located in the brain structures known as the pineal gland and the hypothalamus (http://physiologyonline.physiology.org/content/16/2/92.full). The pituitary gland responds to signals from the hypothalamus. 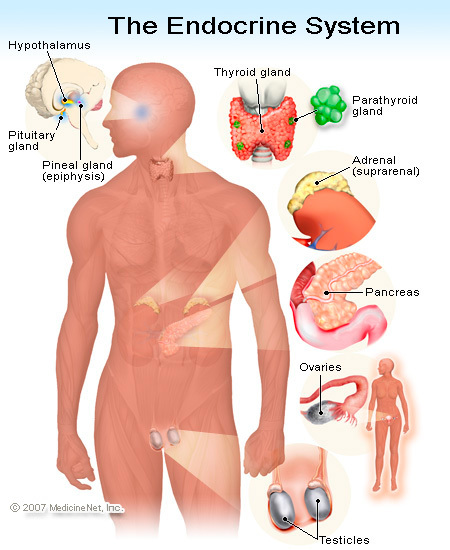 Compounds released from the pituitary gland stimulate the hormonal glands throughout the rest of the body (http://www.besthealth.com/besthealth/bodyguide/reftext/html/endo_sys_fin.html). The neuro-endocrine nerve cell loci respond to fluctuations in the electromagnetic phenomena impinging upon the Earth from Sol, the planets of the Solar System and deep space. For all intents and purposes, Sol is the source of all energy for animate life via the compounds produced by the plant kingdom. This energy is in the form of high-energy phosphate bonds of the ATP molecule (http://en.wikipedia.org/wiki/Adenosine_triphosphate). This energy powers all biochemical processes within the physical body for all multi-cellular organic entities. 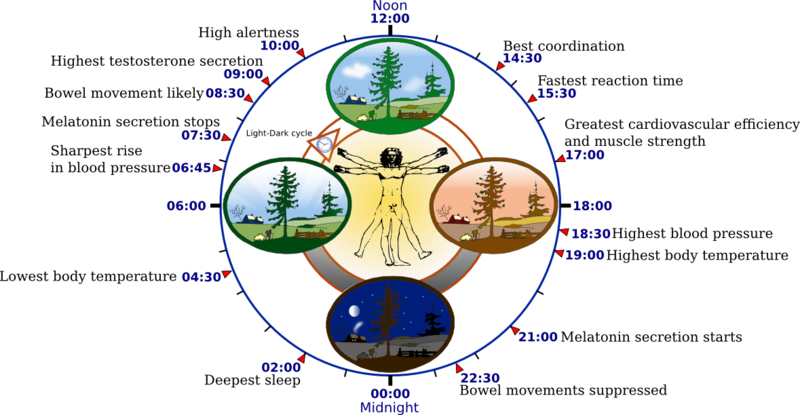 The science of chronobiology (http://en.wikipedia.org/wiki/Chronobiology & http://www.wisegeek.com/what-is-chronobiology.htm) studies the response of living entities to the cyclic and rhythmic fluctuations of the Earthly incumbent electromagnetic background. This book, published in 2004, gives a very good account of the current body of science, at that time, of the various aspects of scientific study concerning this topic (http://www.sinauer.com/detail.php?id=1490). Biorhythms and Astrology are cultural aspects of Chronobiology. NASA has coined the term "Astrobiology" to denote studies of man in space (http://en.wikipedia.org/wiki/Astrobiology). The concept of resonance (http://en.wikipedia.org/wiki/Resonance) and coherence (http://en.wikipedia.org/wiki/Coherence_(physics)) are well established in physics. Coherent resonance between separate groups of matter allows for energy transfer to occur between them with almost no loss of energy (http://www.ncbi.nlm.nih.gov/pubmed/19894921 and the exchange of information, as well. Coherent resonance between DNA molecules in chromosomes occurs via the electromagnetic frequencies of about 200 nm to 800 nm and are called biophotons (http://en.wikipedia.org/wiki/Biophoton and http://en.wikipedia.org/wiki/Biophoton and especially http://www.transpersonal.de/mbischof/englisch/webbookeng.htm). An essential and primary source of biophoton emission is the DNA within the chromosomes. Biophotons are part of the overall biofield of the physical body. All modes of light therapy are tied to these frequencies (http://www.diamondhead.net/p14.htm) in some manner: it is light in the wavelength range of 200 nm to 800 nm, from the short ultra-violet through to the short infrared (including the visible spectrum). Research shows that form follows electromagnetic frequencies (http://www.springerlink.com/content/r275249865705134/). Electromagnetic fields, biofields and pulsed wave patterns influence structure. In 1994, the U.S. National Institutes of Health (NIH) established the term "Biofield". The biofield is an ensemble or matrix of different energies that purportedly surround and penetrate the human body. These electromagnetic influences on form define health and illness. When the body experiences a coherent state of balanced electromagnetic flow, health occurs. Disease may then be defined as a state of dissonance, when the physical body experiences any imbalance in its body-field/biofield. In other words, health occurs when energy flows freely within the meridians (extracellular matrix channels) of the human organism. 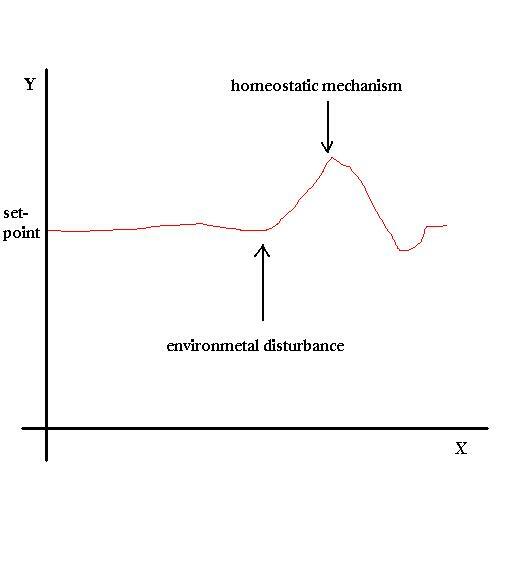 Disease occurs when the body is literally overwhelmed with electromagnetic or gravitometric shocks and the HBF coherent resonance is out of alignment. The means for establishing guidelines for occupational magnetic field exposure have been published (http://www.ursi.org/Proceedings/ProcGA05/pdf/KP.55(0867).pdf). It is DNA that functions as the receiver and transmitter of electromagnetic/gravitometric frequencies at the cellular level and thus also at the whole body level due to the overall collectively generated morphogenic field. The ability to achieve coherent resonance is located in the hydro-energetic matrix of DNA. These water (hydro-) molecules are the originating source of the organism's coherence. Hydro-silicic acid complexes are powerful electromagnetic coherent resonators (http://www.journalinformationalmedicine.org/bpes.htm). Electromagnetic and acoustic fields in the range of the Schumann Resonance (http://en.wikipedia.org/wiki/Schumann_resonances) encode water into structured and coherent states. 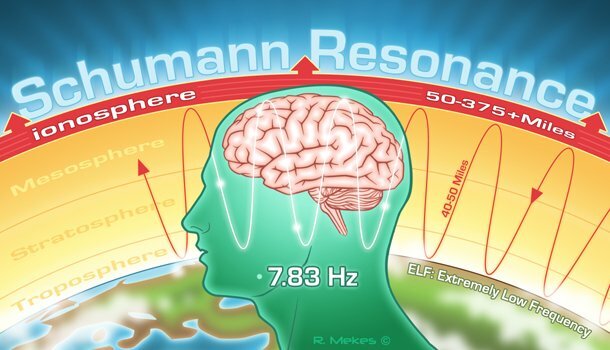 Schumann Resonances are but one of the many inherent rhythms of the Earth (http://www.glcoherence.org/monitoring-system/earth-rhythms.html). Coherent water in the DNA vibrates at resonant frequencies that continuously rebalance cellular structures. This DNA resonant coupling is mirrored in all the cells of the body. The combined coherent resonance is what produces the HBF and the morphogenic field ( http://en.wikipedia.org/wiki/Morphogenetic_field ) of the physical body. Stress and disharmonic signals from electromagnetic and gravitometric fields alters the resonant DNA profile and predispose the body to illness according to the constitution of the physical body as determined by inherent adverse gene mutations. The purpose of DNA is to respond to the rhythmic electromagnetic and gravitometric fluctuations in the environment and to produce new enzyme systems in order to alter cellular metabolism accordingly. Non-coherently resonating DNA produces an enzyme cascade that is not able to deal with the current needs of the physiology of the organism and this is the nature of adverse gene mutation. Illness as an incoherent state of the body can also be rebalanced in the DNA through sound. A Russian team of researchers under Pjotr Garjajev has shown that DNA activation occurs by words and sounds, a regular grammar with rules similar to human languages (http://www.rexresearch.com/gajarev/gajarev.htm). Research has shown that DNA in living tissue responds to "language-modulated laser beams and radio waves." They also tested devices that could affect cellular metabolism through "modulated radio and light frequencies." Sound activated coherence for healing has been demonstrated in the physical world (http://helpfulwaves.com/). This brings to mind the healing qualities of various chanting and meditative tonal vocalizations during Buddhist rituals and Gregorian chant ceremonies. See below for the Solfeggio frequencies (http://www.solfeggiotones.com/). This points out that coherence, resonance and coherent resonance are phenomena of both consciousness and matter. Consciousness is a state of coherent resonance produced by the matter of the physical body and attendant HBF. It is the matter of the nervous system that is interacting with the electromagnetic & gravitometric flux of the universe. There are elements of the dynamic field produced by the matter, the architecture of that matter and the fields therein produced attendant to that matter that yield what is known as consciousness. Just as the various types of electronic equipment (made of specific configurations of various types of matter) are tuned to the various frequencies of electromagnetic flux that exist (whether produced by natural or manmade means), there are components of the nervous system that are tuned to specific frequencies of electromagnetic flux. The EEG (electroencephalograph) measures brain waves of different frequencies within the brain. Raw EEG frequency bands include gamma (25-60 Hz), beta (12-25 Hz), alpha (7-12 Hz), theta (4-7 Hz) and delta (less than 4 Hz). These frequencies correspond exactly to those of the Schumann resonances ( http://en.wikipedia.org/wiki/Schumann_resonances ). In electronics, a modulating frequency is inserted onto a carrier frequency of an electromagnetic wave, this modulated frequency or signal has information that is conveyed over distances by the carrier wave. The nervous systems of living entities are also capable of detecting a signal on a carrier wave. The tuned circuit of electronics is a form of coherent resonance as an oscillator. As long as energy is inserted into the tuned circuit, the oscillation will endure and the signal inserted onto the oscillation will also continue to endure. Thus, the consciousness of any living entity will through coherent resonance endure as long as that entity lives. The nervous system is the means by which perception is achieved. Perception in humans may be via the 5-senses as discussed above or by what is known as "Intuition". Most persons have an idea of what "good vibrations" are about. This is something sensed without using the 5-senses. The reason for this is that the HBF is "feeling" rather than the nervous system per se. It is the gravitometric or magnetic field that is being perceived. This is the basis of the art of dowsing/feng shui (http://en.wikipedia.org/wiki/Dowsing & http://paranormal.about.com/library/weekly/aa072902a.htm) and is a natural extension of human consciousness (http://www.greatdreams.com/dowsing.htm). Just as any human endeavor has aspects of the ridiculous, so does any human cultural outlet. Those whom are not willing to train themselves are quick to debunk that which they are not able to do. Not everyone is cut out to be a jet fighter pilot after all! How long does it take to train an astronaut? The author is aware that there are other means of communication via the human consciousness that are out of the ordinary and usually described as "psychic". Perception is not an issue. However, making sense of that perception is a crucial issue. This is where training is involved just like any human endeavor. The consciousness staggering electromagnetic pollution (http://www.diamondhead.net/chapt8.htm) that exists today makes that training and perception difficult but not impossible. Right-brain individuals seem to have a better psychic sense, possibly due to the character of the extensive neural network in those individuals. It has been shown that the basis for intuitive/psychic behavior is a characteristic of the interaction of the body-field of a person and the consciousness of that person.